You need a working screen, and we are here to deliver it. Our clients range from professional techs repairing dozens of computer screens per day to stay at home moms doing their first repair to grandparents who replace their grandchildren screens as Christmas gifts. With such a wide range of clientele we found ourselves facing a unique challenge. We found that what most people care about is getting their laptop back to working order. Certainly there are people who know the ins and outs of the LCD technology, the supporting hardware, the electronics standards, the intricacies and the quirks; however there is an equal if not larger amount of people who are simply in distress – their work, studies, digital life is covered in cracks; and splotches of black ink are marring what used to be their window to the world. 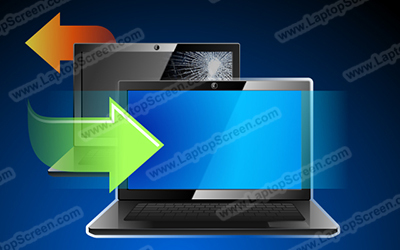 Just several years ago, LCD replacement was a highly contested topic, with manufacturers charging exorbitant prices for broken screen repairs, often at half or more of the actual cost of the brand new laptop. In more recent years, the clout surrounding LCD replacement was dispersed, not with-out our help, via hundreds of video tutorials posted to YouTube, showing real people, replacing their broken screens, with a help of a screwdriver and some ingenuity. These developments empowered thousands of people to get back to work on their own. We realize that our customers are real people who by the flow of the circumstances ended up with a cracked screen, and at this moment their top priority is to get it fixed. We did our research, found suppliers, built relationships with them, we created technical knowledge base, trained specialists in the field, then we created a comprehensive site, with hundreds of pages of articles describing in the smallest detail everything there is to know about LCD screen replacement. We went further and created dozens of professionally made video tutorials; and once the topic took off, we got our customers to show their own LCD replacement experiences. We did all this to make LCD replacement as easy as possible. But let’s be honest, electronics is a touchy subject on it’s own, and a scourge of phantom issues was unknowingly bestowed upon engineers, technicians and regular folk at the moment when Thomas Edison turned on his first light-bulb. So when it comes to dealing with LCD technology, computers, myriad of parts and methods, inevitably things do not always work “straight-out-of-the-box”. We decided early on to take care of our customers, and provide a solid promise, the one that will ensure that our customers can feel confident replacing their LCD screen. That is how our guarantee of a working replacement came to life. It’s a promise of ours to take care of your mishap, to ensure that we will do everything possible to get your computer to light up with no cracks or splotches, to get you back to work, school, remote friends and family. We guarantee a working replacement, or your money back!